Hello and Happy Wednesday! Spring break for the girls is just around the corner, and they both grew out of their bathing suits from last year. It's amazing how quickly they go through sizes! 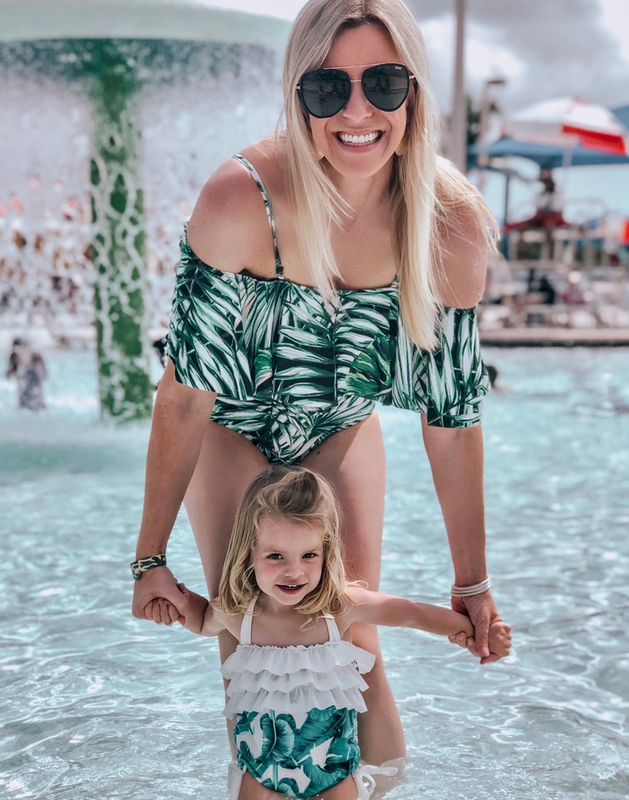 I've been scouring the internet looking for affordable and cute bathing suits for the three of us and thought that I would share what I've found (affiliate links are used). 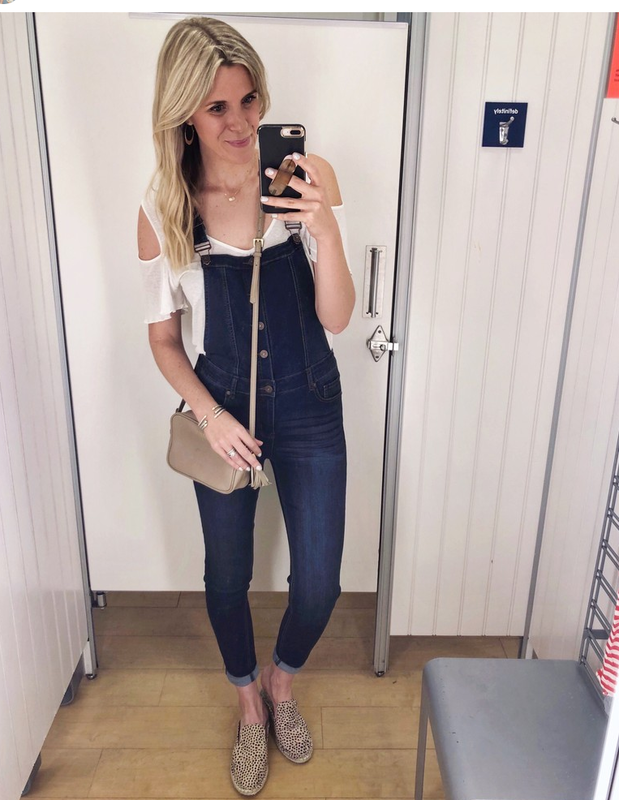 It is amazing what adorable options are available at places like Amazon, Old Navy, Target & Walmart. I also included some other retailers that had adorable suits, as well as accessories such as cover ups, sandals and totes. Click on the photo to be taken to the item. Happy New Year and 2019! I can't believe that we are already in the new year - Christmas flew by! We took down our Christmas decorations today and did a whole house clean. Taking down Christmas is always bitter sweet but it also feels so good to have a fresh start! 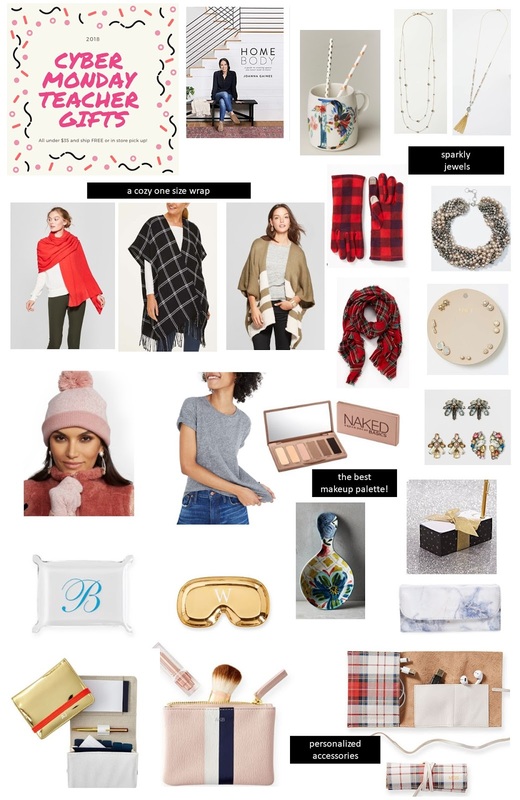 But before I get into goals for 2019 in tomorrow's post, I thought it would be fun to recap the top 10 most popular items of 2018 for Golden Style Book! Bathing suits and comfy clothing definitely were the favorites! 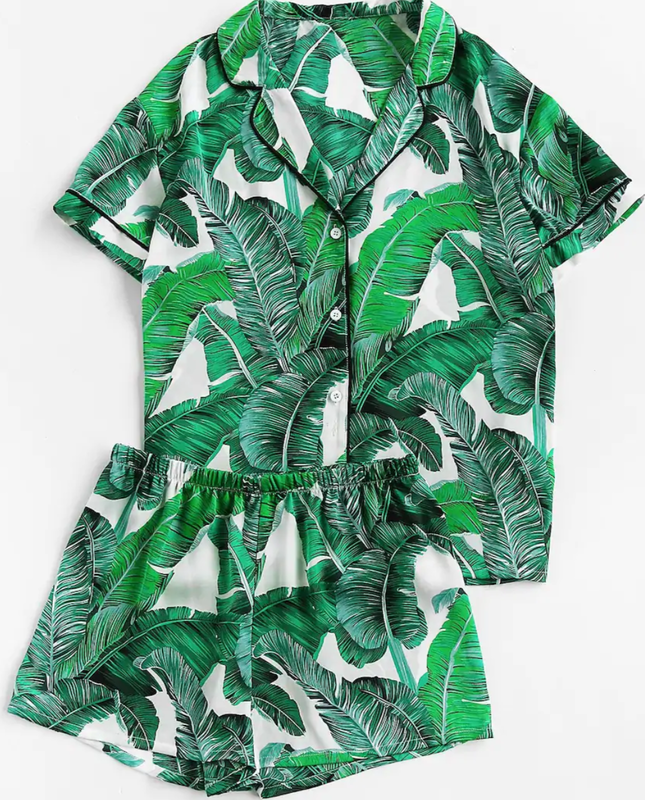 This lemon print pajama set was the number one top seller for 2018. We all like cozy and these pjs are just that! It is currently sold out in all patterns but I found several similar sets! This palm tree print was one of the prints offered in this set and I found this pair that is under $20 and have great reviews! I also love these lemon print pjs from Shop I Love Jewelry. The girls and I have the heart print version of them and they are SO soft! So both of our bathing suits from this picture made the top ten! My suit is super flattering and perfect for running around chasing kids! I wore my normal size medium. Plus it is $26 and ships free with prime! 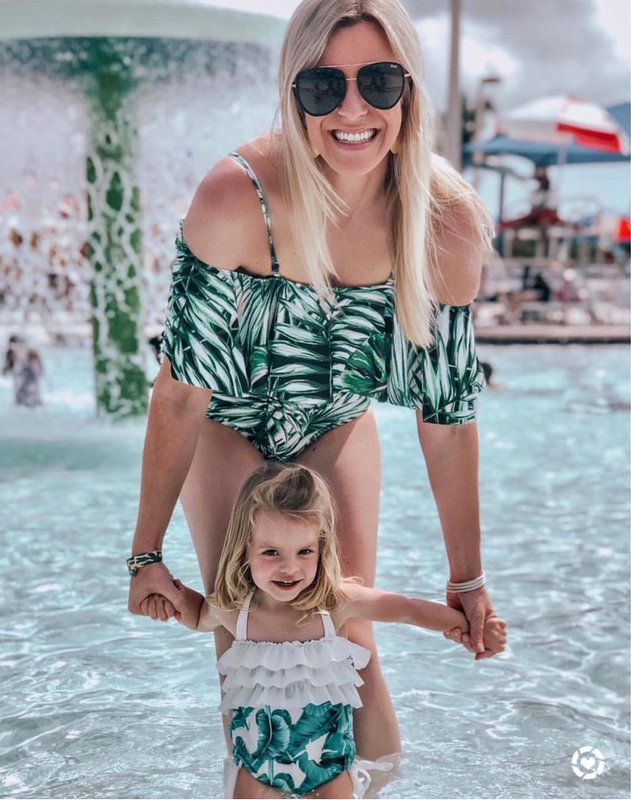 Charlotte's palm print swimsuit is so adorable and comes with a little hat as well! It is $13 and a prime find. 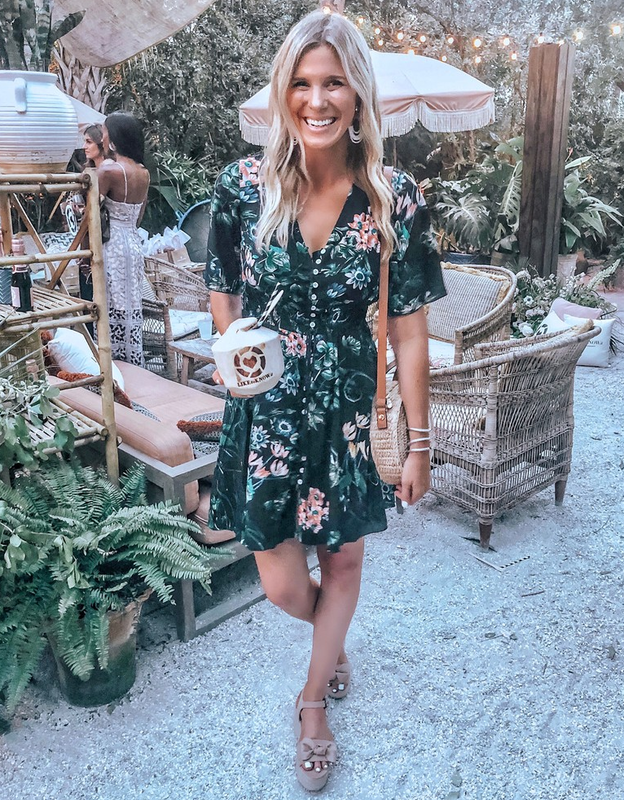 I wore this boho button up dress to my first blogging event with RewardStyle. I love that the front is a true button front which makes it great for nursing! I wore my normal size medium. This dress is also a prime find and is $25! 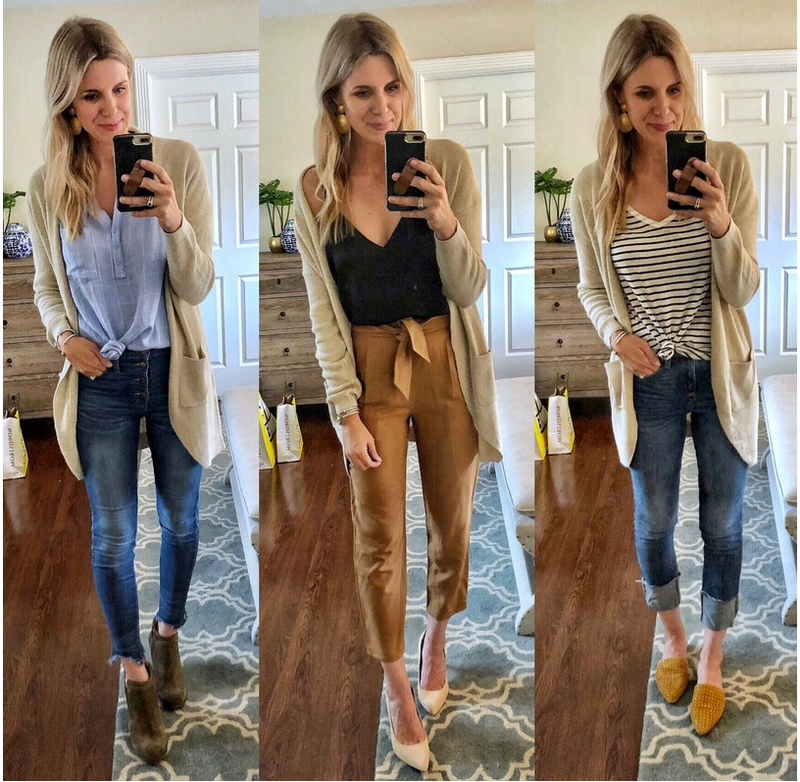 This $16 cardigan was love at first sight for me, ha! I have worn it so many times and you guys loved it too! These booties are incredibly comfortable and were super affordable. They are sold out but here is a similar pair! This blue and white kimono was one of my most worn pieces of the summer for sure. I love that it works with a tshirt or tank, or alone with a swimsuit. It is $18 and ships free with prime. You guys sold these overalls out super quickly but I just saw that htey were restocked! The reviews are right - they are amazing! I am wearing my normal size. The price depends on the size ordered but they are around $40! 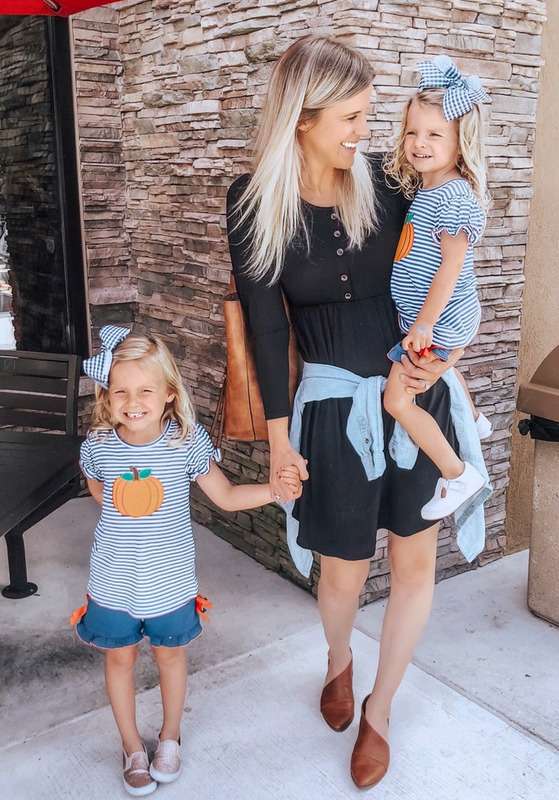 This dress is a perfect grab and go dress! It is comfy and is a great casual look. Plus it is $19 and free ship with prime! 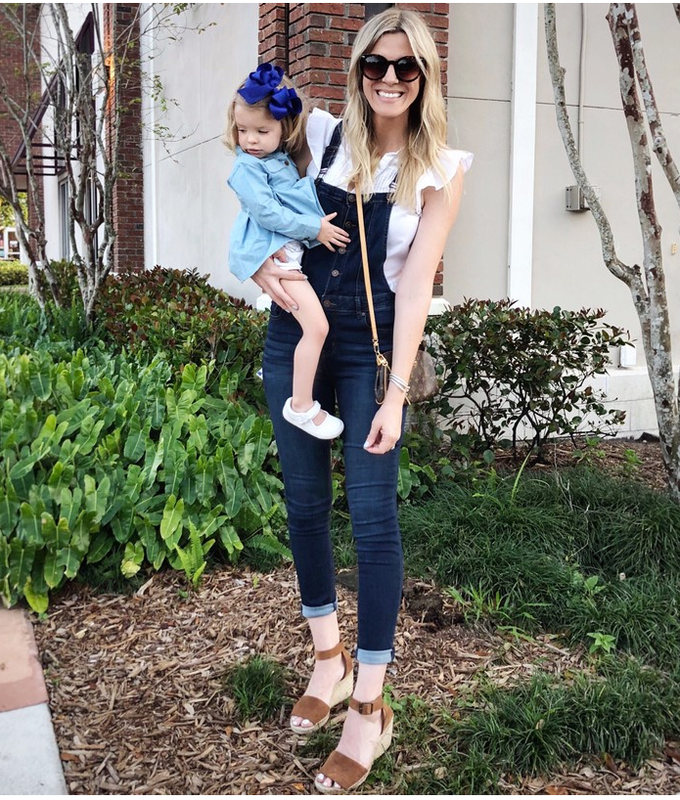 Thank you so much for supporting us and this blog by shopping my links! It is truly appreciated!! Happy Cyber Monday! The sales this weekend have been incredible! I am almost done with my shopping, but needed a few more things for the girl's teachers. 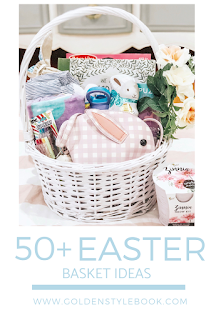 As I was shopping I put together some of my top picks in a blog post. Everything is on sale for $35 or under and has free shipping or a pick up in store option through the end of today! Most are far below that price! 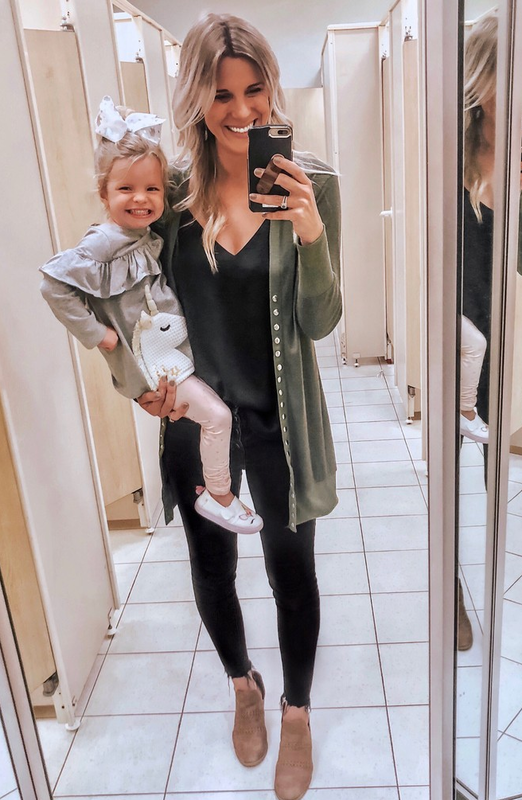 affiliate links are used in this post, thank you so much for supporting our family! Joanna Gaines new book, Homebody. I feel like you can't go wrong with Joanna! Not only is a pretty coffee table book, but great for a teacher or friend that loves design! Her cookbook is also a great idea! Homebody is currently $23 and ships free with Prime! A monogrammed coffee mug. This is a mug that I would actually be happy to receive, ha! It is an Anthropologie find that is price matched at Nordstrom for $7. Long double strand necklace. This necklace is dainty and goes with everything! Plus it is on sale for $11 and ships free with the code CYBER. Another gorgeous beaded necklace with fringe detail! It is on sale for $20 with the code CYBER. Plaid wrap that is one size. 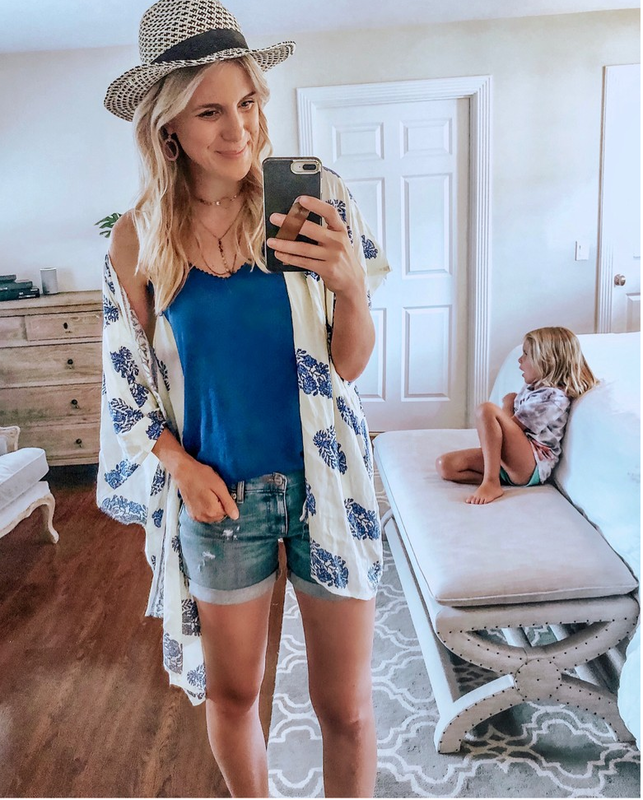 LOVE this cute wrap! Dress it up or down and a great gift because it is one size! $18 plus free ship with the code CYBER. Texting friendly gloves that are cozy and cute! Come in several colors. $3.50 no code needed and select pick up in store! A festive scarf that you can have forever. On sale for $11 no code needed and select pick up in store. A studded earring set for only $13 plus free ship with the code CYBER. You guys loved this when I shared in stories! Only one more day left to snag this deal! Hat and gloves set for only $5 and free ship! Comes in several colors and so cute! Perfect for specials teachers too! The best tee ever! 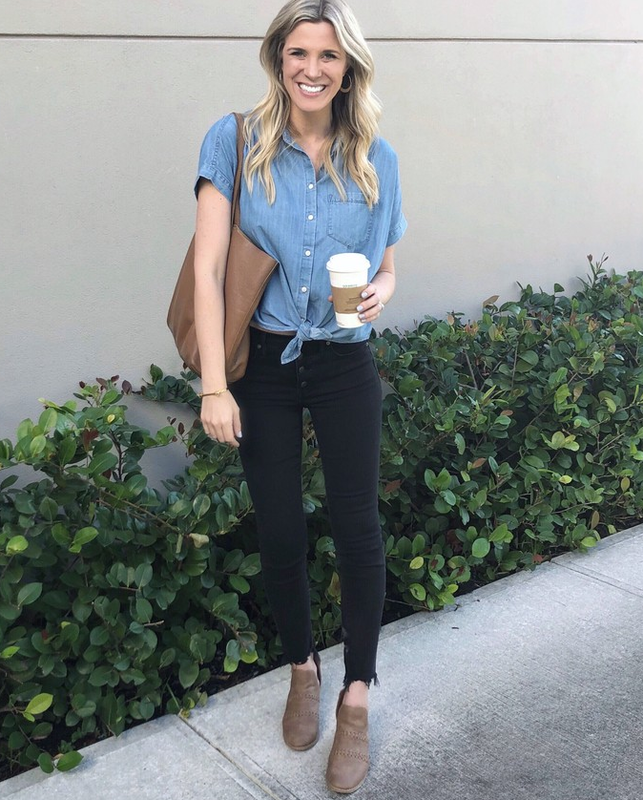 This Madewell tee is great if you know your teacher's size, but even a great idea for you or for a friend! It is price matched to $13 and free ship! Naked Basics makeup palette - This one works with most complexions and is such a steal! $18 plus free ship! Anthropologie spoon rest. Such a fun gift for a cook! $17 plus free ship! Makeup roll bag - Under $15 and ships free. Love the marble color! Monogrammed Leather travel charger organizer - Free monogramming + 25% off+ free ship with the code FRIENDS! It comes out to $30 in this color. Some other colors are available for a bit more in price. Happy Thanksgiving!! It is so hard to believe that Thanksgiving is already here. I feel like time is going by so fast this fall! We are off to Kris' sisters house to celebrate with their family. Before we go I wanted to thank you so much for taking the time to read my blog and be part of this community! I am truly so thankful for you all! I also wanted to share the best Black Friday sales from around the internet! I am definitely going to be an online shopper this year! I wanted to keep track of what sales were going on for all of us on this page. I will update it as sales change. I hope this is helpful! Affiliate links are included in this post. Thank you SO much for supporting my family! Bed Bath & Beyond - Shop Black Friday deals here, FREE SHIP over $19! Boohoo - 60% off everything! Etsy - So many retailers have great sales during Black Friday! Cozy chenille sweaters only $19! 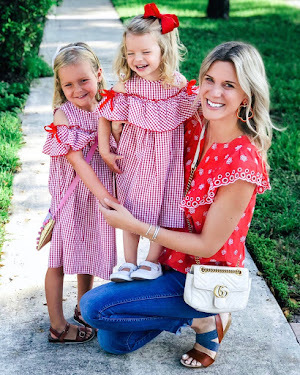 Francesca's - Buy one Get one 70% off! Nordstrom Rack - Extra 30% off Clearance, FREE SHIP on so many great deals! Sweaters are on sale for as low as $10! Smocked Auctions - Lots of great deals!